This week was absolutely bonkers in terms of fantasy, the highest scoring lineups on both FanDuel and DraftKings hit levels we’ve never seen before. But lost in all that scoring are the targets, the best predictor of receiver performance from week to week. In this article, I examine some of the highest targeted receivers of this past week in an attempt to help uncover plays for next week. Calvin Johnson (16 Targets) – We saw that the targets had been there for Johnson the past two weeks, but the performance was lacking. So when he went off against the Bears secondary on Thanksgiving, I was not shocked at all. The Bears are terrible against the pass, but Tampa Bay is arguably worse, so he should keep it going next week at home. Keenan Allen (15 Targets) – If you have been reading my target watch articles over the past several weeks, you would have seen how consistently targeted Allen has been over the last several games. Seeing consistent targets over several weeks is a great way to predict a breakout game, and we called it with Allen for the past 2 games. That being said, he’s going against the Patriots next week instead of the soft Rams and Ravens secondaries, so I’ll be avoiding him going against Darelle Revis. Alshon Jeffery (13 Targets) – Jeffery was the lone bright spot in a terrible effort by the Bears, catching 9 balls and scoring twice. He’s consistently getting double digit targets, so against a Dallas secondary next week that is horrible against #2 receivers, it’s hard not to love him. Antonio Brown (12 Targets) – Brown is the most highly targeted WR in the NFL this year, his great game and high number of targets is just a normal day at the office. He’s in play every week. Julio Jones (12 Targets) – It was a little rough there for Jones for the last couple games, his targets and performance have been down coming back from injury. Looks like he’s healthy now though, he crushed a surprisingly mediocre Patrick Peterson for 189 yards and a TD. He seems like a great option against Green Bay, Atlanta will be passing a lot in that game. LeVeon Bell (11 Targets) – He caught 8 balls for 159 yards, which is just crazy for any player let alone a RB. He’s been a great receiver out of the backfield this season and he just keeps getting better. 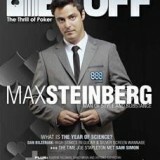 His consistency makes him a great cash game play as well as a great tournament play. Harry Douglas (12 Targets) – Roddy White didn’t play in this game, pushing Douglas into the #2 receiver role. When you have a great QB like Matt Ryan, he’s going to make the best of limited options. So whenever you see Roddy or Julio out, it’s very safe to go to Douglas. Davante Adams (11 Targets) – This was more a product of New England’s defensive game plan more than anything, the Patriots double teamed Jordy Nelson and put Darelle Revis on Randall Cobb, leaving Adams 1 on 1 most of the game. He caught 6 balls for a 121 yards and dropped an easy score late in the game. It was a nice showing from Adams, but I’m fading him this week. Rodgers should go back to throwing to his favorite targets against an absolutely horrible Atlanta D, a team Green Bay is expected to score 34 points against by Vegas Sportsbooks. DeAndre Hopkins (9 Targets) – The number of targets weren’t surprising, both Andre Johnson and Hopkins average 8-11 a game, it’s just what he did with them. He was the best fantasy performer of the week with 9 catches for 238 and two TDs. It was surpassing to see the Texans so pass heavy in such a lopsided game, but it worked well. That being said, I don’t see this being indicative of any good future performance for Hopkins, just a fluke great game against a bad defense. Heath Miller (14 Targets) – Suddenly Miller was heavily involved in the pass game, and I’m not sure why. I don’t totally trust that he’ll even see 6+ targets against the Bengals, but they are a great TE matchup. He’s a good GPP play next week. Josh Gordon (13 Targets) – Gordon was once again targeted heavily, but again failed to score as he caught 7 passes for 75 yards. Gordon is clearly a huge part of this offense and a sneaky GPP play coming up against the Colts. Cleveland’s point projection out of Vegas is 23.25, and the best player on their offense should get a nice piece of that, especially if Vontae Davis is hobbled. Kelvin Benjamin (12 Targets) – This is basically Benjamin’s MO, he gets a ton of targets every game, sometimes he does something with them, sometimes he doesn’t. He really struggled against Keenan Lewis last time Carolina played New Orleans, so I don’t trust him this week (although he’s always a decent option for GPP lineups), but in softer match ups he’s the ultimate GPP play. Odell Beckham Jr. (8 Targets) – He actually had a solid game with 7 catches for 90 yards, just not what we’re used to. Coming off a bad loss to the Jags, my guess is the Giants will try to get Beckham more involved against Tennessee, one of the worst pass defenses against #1 receivers in the NFL. I wouldn’t worry about this one. Brandon Marshall (11 Targets) – The Bears pass a lot and you can always count on Marshall, Jeffery, and Forte getting their targets. Not worried here at all, although I like Jeffery a little more against Dallas since Brandon Carr should be on Marshall. Pierre Garcon (9 Targets) – He did absolutely nothing with these targets, but it’s something to watch for going forward. Against a worse secondary like the Rams, we could see Garcon have a nice game. I may throw him into 1 or 2 GPP lineups. Dez Bryant (7 Targets) – Not what we expected at all against a struggling Eagles pass D in a game where Dallas was down the entire time. I’m chalking this up to a fluke, and against a poor Chicago pass D I won’t even hesitate to use Bryant in some of my cash game lineups next week. 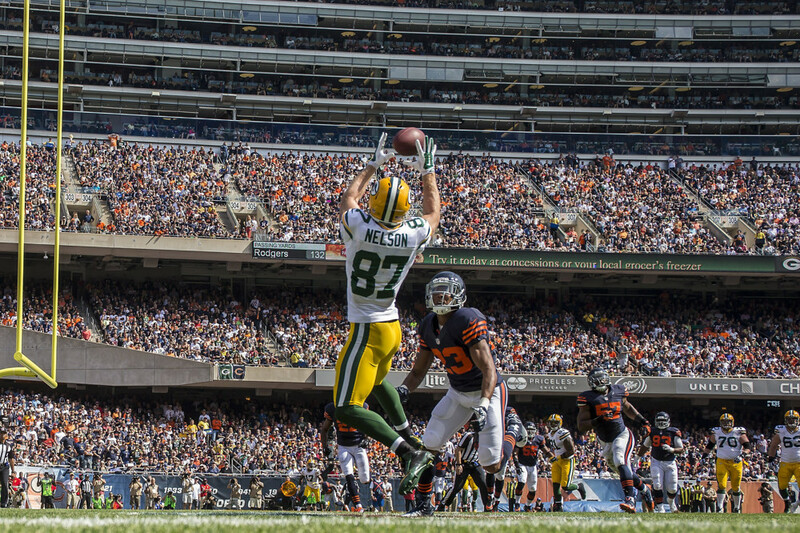 Jordy Nelson (6 Targets) – The Patriots double-teamed him the entire game, I’n not worried. He should absolutely be in your lineups in week 14. Anquan Boldin (5 Targets) – Just an awful game all around for the 49ers, I expect Boldin to bounce back at Oakland next week, but I’m concerned about how poor Kaepernick continues to look week after week. Jimmy Graham (0 Targets) – The Steelers were focused on shutting Graham down in this game, but 0 targets is an absolute shock. The bottom line is the Saints are a completely different team on offense this year which means we can’t have the same expectations out of players like Colston, Graham, and Pierre Thomas. The Saints have a great matchup vs Carolina but I’m wary, he won’t be in my cash lineups that’s for sure.